Burragorang lookout is on the edge of a cliff at Nattai approximately 40 minutes by car from Warragamba Dam. 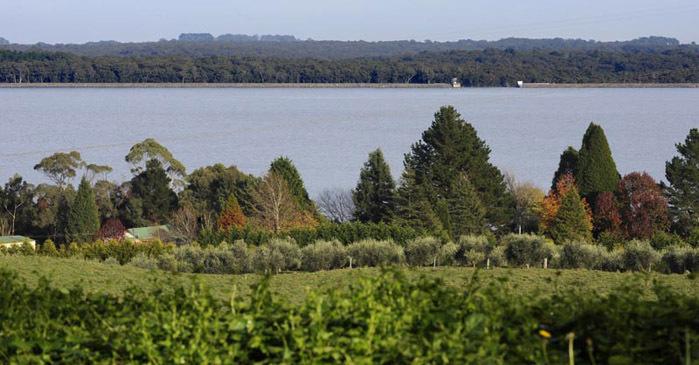 You can drive to the lookout which has spectacular views of Lake Burragorang. The Katoomba to Mittagong walking track passes through two walking corridors in the Special Areas. You can walk across the Coxs River and over Mount Cookem and across the Wollondilly River over Beloon Pass to the Nattai River valley. This walk should only be undertaken by experienced bushwalkers. You can drive to McMahons Lookout via the unsealed Kings Tableland Road south of Wentworth Falls for a different view of Lake Burragorang. You can drive to the historic Yerranderie silver mining town via the unsealed Oberon Colong Stock Route. This is the only public access road to Yerranderie. You can walk to Walls Cave, a significant Aboriginal heritage site, via the Walls Cave walking track beginning at Evans Lookout Road in Blackheath. Some areas of the Woodford Special Area are open for recreational use. You can walk and ride bicycles in the Blue Mountains National Park within the Special Area which can be accessed from Winbourne Road or Clearview Parade. Signs clearly mark no entry areas including Woodford Dam and Lake Woodford. You can walk and ride a bicycle to Narrow Neck lookout south from Katoomba. Bicycles are not permitted beyond the lookout via Tarros Ladder or west of the Narrow Neck fire tower via Carlon's Head.